I’m so excited to share my first print feature in a major publication with you all today. 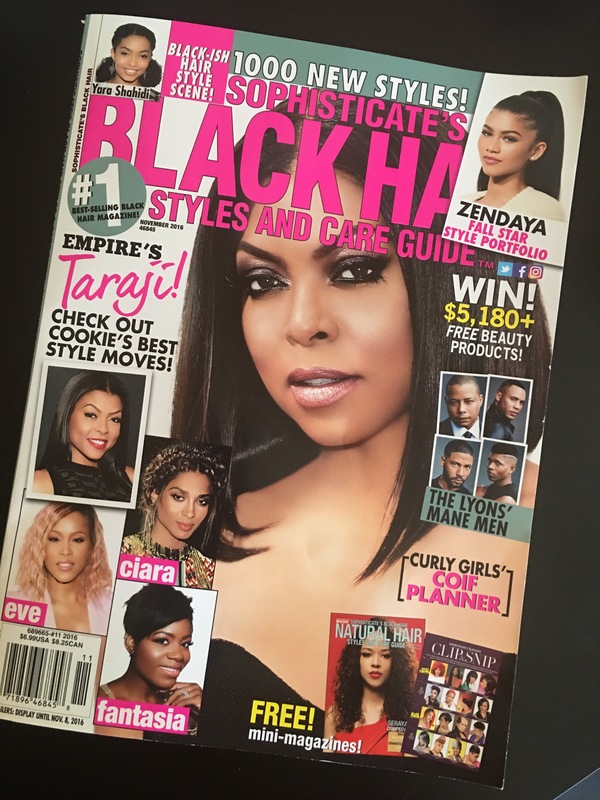 Sophisticate’s Black Hair Magazine is the go-to publication for everything black hair. They feature some of the most amazing styles for all types of hair from natural to relaxed. One of my biggest goals for the year was to get a print feature in a magazine, so you can imagine my excitement when earlier this year Sophisticate’s Black Hair Magazine sent me a message on Instagram requesting photos. I was so shocked! I immediately went to work putting together pictures for some quick, creative looks that captivate. I had just cut my hair to start the restoration from my hair color damage so my hair was shorter than usual. I managed to still pull off some really nice styles that I sent over hoping they would love them. Every month that passed I would purchase this amazing publication full of trending and forward styles wondering if I would see my face. This past Sunday, that day came! You should have seen me in Publix trying to FaceTime hubby. It was hilarious! 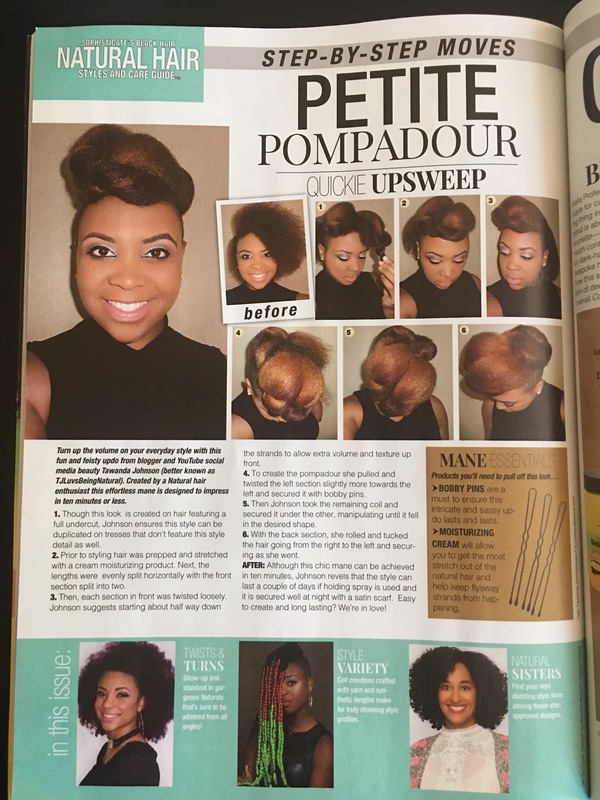 Almost a full page dedicated to one of MY hairstyles. I immediately took to my social networks to share the news and glorify God. It’s so surreal seeing my face in a major print publication. I’m so excited to have reached this milestone and can’t wait to see what God has in store next. If you are striving for something, keep going and keep believing! Faith without work is dead. Do your best, do what you love and watch God move in your favor. 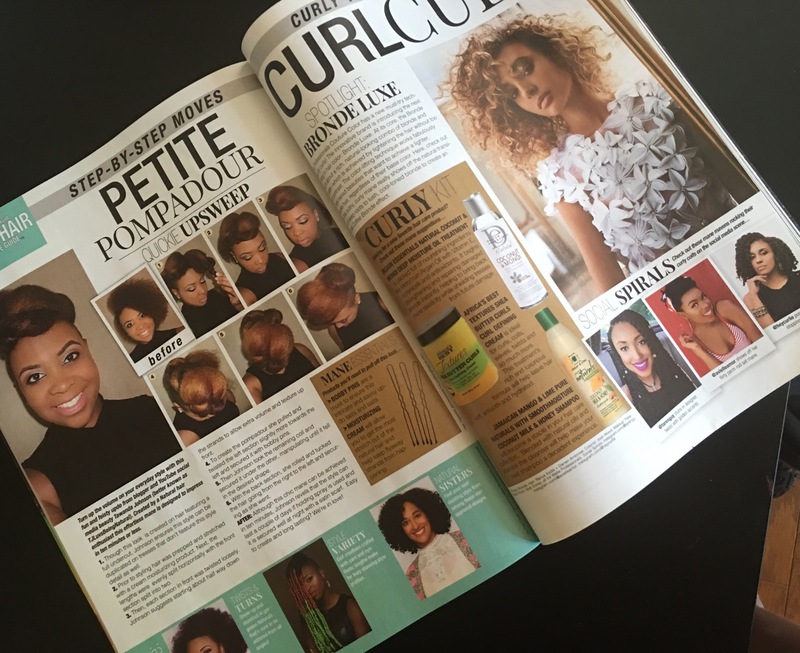 Be sure to pick up the November issue of Sophisticate’s Black Hair Magazine! I’m on page 72.